With its superb blend of advanced technology, bold styling and powerful performance, it's no wonder Tahoe has been America's best-selling full-size SUV year after year - or that Tahoe was named the "Most Dependable Large SUV"†. Tahoe is designed to make an impression. Its sculpted exterior and confident, athletic stance command attention, while the available soft touch leather-appointed interior surround the driver and passengers with premium amenities. 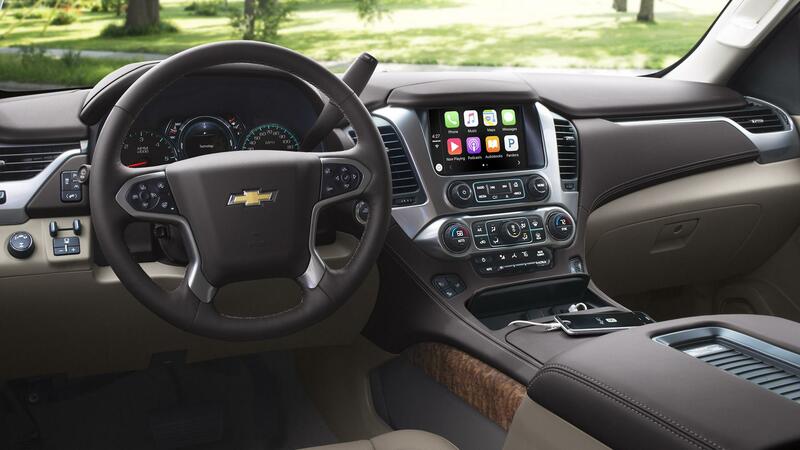 Tahoe offers up to seven USB ports,† a 110-volt three-prong outlet, an available wireless charging station,† and an available OnStar 4G LTE Wi-Fi® connection†. It's everything you need to keep devices charged and connected on the go. Tahoe offers support for Apple CarPlay,™† a simpler and smarter way to use your iPhone to listen to Apple Music, get directions with Apple Maps, call friends and more. An available buill-in 4G LTE Wi-Fi® connection for up to seven devices means the Internet comes along for the ride, almost anywhere you go. Tahoe features a 5.3L V8 engine that offers impressive capability along with a best-in-class 23 MPG highway.† COmbines with the available Max Trailering Package, Tahoe offers a maximum towing capacity of up to 8,600 lbs.† - plenty of power to tow boats, ATVs and whatever else you want to bring along on your next trip. Using camera technology, this available advanced feature alerts you to slowing vehicles detected in your path. Drivers can set the following distance indicator, to far, medium, near or off. As you shift into Reverse, the standard rear vision camera automatically displays a live image of the area behind your vehicle on the Chevrolet MyLink† touch-screen. This available technology utilizes radar sensors to monitor approaching traffic passing behind the vehicle while backing up and alerts you through the standard rear vision camera screen, and directional seat cushion vibrations. Using ultrasonic sensors, available Rear Part Assist senses stationary objects and warns you if an object is too close. This available feature uses short-range radar sensors to warn you when other vehicles are in your blind zone areas or rapidly approaching them. † EPA-estimated MPG city/highway: Tahoe 2WD 16/23; 4WD 16/22. 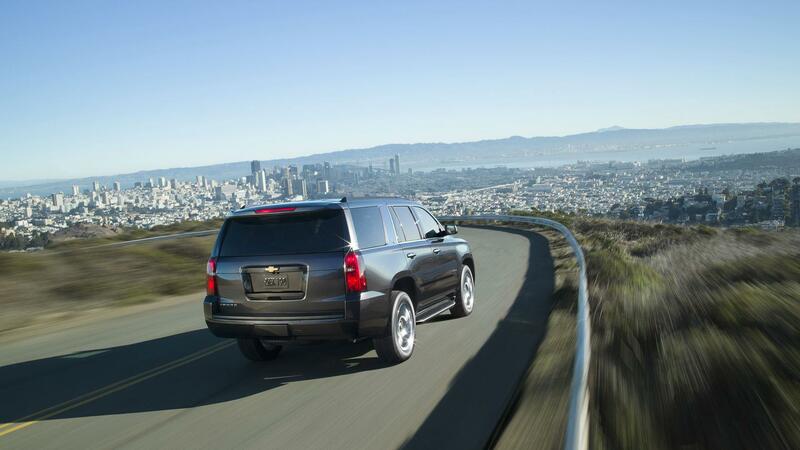 † The Chevrolet Tahoe received the lowest number of problems per 100 vehicles among large SUVs in the J.D. Power 2016 Initial Quality Study, based on 80,157 total responses, evaluating 245 models, and measures the opinions of new 2016 vehicle owners after 90 days of ownership, surveyed in February-May 2016. Your experiences may vary. Visit jdpower.com. † Based on GM Large SUV segment. EPA-estimated MPG city/highway: Tahoe 2WD 16/23; 4WD 16/22.